MARCH BREAK CAMP applications will be available and open for registration in November 2017. Our programming runs in the afternoon from 12:30pm-4:30pm. We've had a very successful, fun, informative camp in 2017. Check our Facebook page for photos! 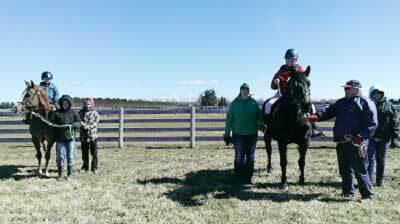 Program includes: riding, tacking up, grooming, cleaning stalls, feeding the horses, making "horse" cookies, bedding stalls and having a whole lotta fun! This program is full. Please contact the office to get on the waiting list.